You must make reservations at least 5 minutes in advance of the time at Fogo de Chao Brazilian Steakhouse - Troy. Complimentary valet parking and self-parking available. Fogo de Chão is a leading Brazilian steakhouse, or churrascaria, which has specialized in fire-roasting high-quality meats since 1979 utilizing the centuries-old Southern Brazilian cooking technique of churrasco. Fogo offers guests a wide variety of simply seasoned meats, that are carefully fire-roasted to expose their natural flavors, including the house specialty picanha sirloin, filet mignon, ribeye, and lamb chops to name a few. Additionally, Fogo offers a gourmet Market Table & Feijoada Bar, which includes seasonal salads, soup, fresh vegetables, feijoada (traditional black bean stew with rice, fresh orange and yuca flour), and much more. Southern Brazilian side dishes such as pão de queijo (warm cheese bread), crispy hot polenta, and caramelized bananas are served family style. To further complement the dining experience, the restaurant offers an award-winning wine list, creative and classic cocktails, and a tempting dessert menu. We went there for the first time. There's three ways to eat. Market (which is their extensive salad bar), Fish (two of us chose the Chilean Sea Bass. - It was delicious and didn't want to share it) that you can get by itself or with the market and lastly meat. The servers come around to your table with delectable choices of meat on skewers that they slice off for you. There was steak, pork, chicken, ribs, steak wrapped in bacon, etc. Do try their Brazilian cocktail - very delicious with the lime. And last but not least, dessert. we chose to share due to the fact it was soooo much food. The Tres Leches Cake was awesome. Price point a little high yet it was Easter. We had a spectacular Easter luncheon here! The service was great, as each of our food requests was quickly satisfied. Bravo! If the service was better I would give 5 stars. We had to flag down a server several times. Our party (of 4) ended up skipping our last round of drinks and dessert because it had been more than 20 minutes. I have visited this chian many times in many locations is the worst. The food was great. The salad bar had a wide variety of food. I went to the Sunday brunch, had the full deal. Definitely will go back. Everything was amazing, just wondering if the restaurant is fancy, the safe is fancy, everything in the restaurant is fancy, all the customers wear jeans or worse. Angelo made the experience me and my guest had outstanding! He always made sure we got exactly what we wanted and how we wanted it!! It was amazing. Very little words are needed. Loved the place. Good food and service. I would recommend to write down orders to avoid confusion specially for big groups like we had on a busy night. Service was good but some of us ordered salmon and it took a while and a few reminders before the food came which we just end up taking to go as everyone in the group are already finished eating. The staff was great. But Texas de Brazil is a better place to go when paying $150 for two people with no alcohol. My second visit. The food was wonderful. Great servers. Arrived at 8 pm at my reservation time to find 75 to 100 people crowded at the hostess stand waiting for tables. I elbowed my way up front to inform the hostess my party was here with a reservation. I was told we would be seated "as soon as possible." After 15 minutes I asked what the deal was, and was only told that they had a lot of reservations for 8pm. I obviously pressed for more info since that seemed like ridiculous explanation, but got no further info. My group got a table 30 minutes later and while the food was decent, the service only went downhill from there. We ordered wine, asked why it hadn't come yet and the waiter admitted he simply forgot. All steak cuts were medium well to well done. The waitress with one of the steaks splashed the steak juice on me twice, ruining an expensive shirt (the manager did offer to pay the dry cleaning bill - but i'm doubtful the stains can be removed). The manager came at the end to apologize for the experience and they comped a portion of our bill. Still a very disappointing experience. Unlike cheaper Brazilian steak houses, Fogo de Chao does a really good job of making sure you can get your meat cooked to a specific temperature. Everything was fanatastic. Service was great, probably the best service that I've had at any Fogo location. The staff made sure we received the meat selections we were looking for, noticed when we needed more to drink, and asked on more than one occasion if we would like a fresh plate. Will definitely come back to this location with family and friends! 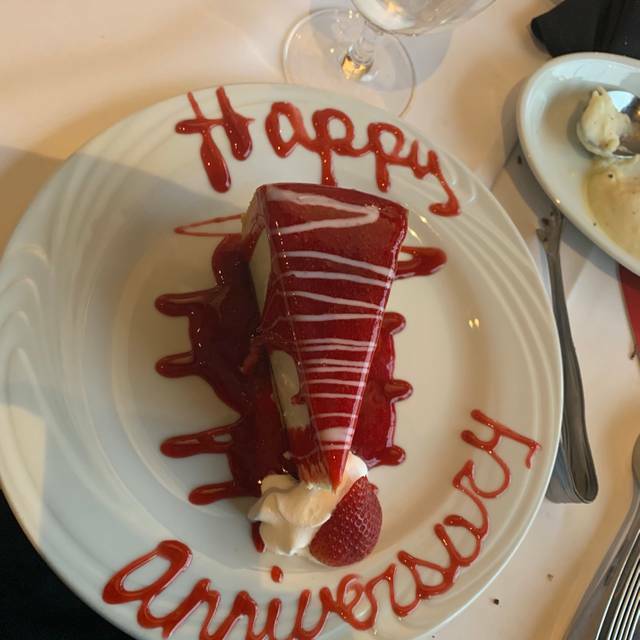 My wife, Candi, and I visited Fogo-Troy on Saturday March 23rd at 5 pm and is was probably the best dinning experience that we've ever had in our 27 years of marriage. From the moment we entered to the time we left we were treated like the only two people in the restaurant. From the front end workers, to the hostess, to our server, to all of the meat guys, and everyone else that stopped by our table...everyone was fabulous...and treated us great. On to the food...it was marvelous! Everything was just fabulous and fresh and very tasty. My wife and I will Definitely visit again and will definitely recommend Fogo-Troy to all of our friends. Always a pleasure dining at Fogo de Chao. Everyone is so professional and attentive. And the food is of course the best part. I felt the food was mediocre for the price. Outside of the filet the meat lacked flavor and it seemed the temperatures were off. Our waitress was less than attentive. The meat servers would ask what we were looking for but never bring what we requested. My husband loves lamb chops. At a similar restaurant he ate 18. He didn’t even finish two here. They were tough. Had reservations but had to wait 20 minutes to be seated. Waited 10 minutes after we had clearly finished until I stopped the waiter and had to ask for the check. Food was great. Karl was a great waiter! I have already recommended restaurant to friends. Very good experience, we will be back in the future. Somewhat disappointed in the experience. The tables are way too close - didn't care for the atmosphere. The food was plentiful, but not all that great. It's a different experience, and I may try it again sometime, but overall, I was disappointed. Tried all 17 meats offered but the bacon wrapper filet and house sirloin topped the list. It is a marathon not a sprint for this unique dining experience. Each and every time my friends and I come to dinner at your establishment, we always had an awesome time during your dinner hours. 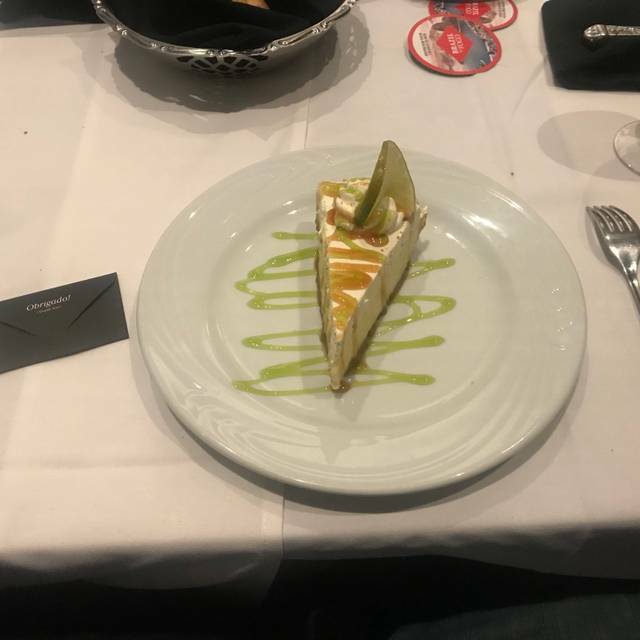 Fogo de Chao has always displayed extraordinary service each and every time. What a disappointment. The Restaurant was busy because of Troy Restaurant week.We were not there for the special offer. Our table was cramped by other tables. The food is such a hype but in this case it was a disaster. We have been to multiple Brazilian Steak houses and this does not come close to it. Our waiter was more interested in UP SELLING than our needs. We never got Lamb chops to our table. On the first round, the server ran out at the table behind us and he never came back. The quality of meet and the serving temperatures were less than desirable. We went for restaurant week. We made reservations, but still had to wait about a half hour. When we did get seated, the service and food were great. The waitress was super attentive and there was a steady flow of meats by our table. Their cheese bread is suuuper good. The hostess staff needs training. Not friendly and not hospitable. Fun to try. Not a go to favorite. Amazing food, amazing service. We had the full experience option, but one could make a meal out of either just the market table or the market table +1 meat. I would recommend doing the full experience the first time, then perhaps subsequent times you could just try the market table +1 meat. That way, you will know which meat is your favorite. Amazing food in a wonderful atmosphere. Everything there was done with the utmost attention to customer satisfaction. We have a great time,was special occasion,very friendly staff,great food.